The European Union Emissions Trading Scheme (ETS) is a major pillar of the European Union climate policy and the first and largest greenhouse gas (GHG) emissions trading scheme in the world. It was launched by the European Commission in 2005 to fight global warming. This scheme regulates emissions in more than 13,000 heavy energy consuming installations (e.g. power generation, industrial plants, manufacturing, etc.) that emit about 50% of the total European GHG emissions. 31 countries participate in the scheme: the 28 EU Member States plus Lichtenstein, Norway and Iceland. The EU ETS is based on the so-called ‘cap and trade’ principle. A cap (ceiling) is set on the total amount of certain greenhouse gases (e.g. carbon dioxide) that can be emitted by all participating installations. A number of allowances equal to the annual cap are issued and distributed at the beginning of every year. One emission allowance gives the holder the right to emit one tonne of CO2 (or its equivalent). Each regulated installation must monitor and report their emissions each year and surrender a number of allowances equal to their annual emissions. Those allowances can be traded in a market (the so called carbon market) and every one can hold and trade allowances. Installations covered by the EU ETS that are short of allowances, have a choice between taking measures (e.g. investing in low carbon technologies) to reduce their emissions or by buying additional allowances from other installations (or other allowances holders) that have allowances in excess. Thanks to the carbon market we have price on the emission allowances (called carbon price), which can be seen as price on emitting GHG. The cap is reduced each year, making the system more and more stringent and forcing the regulated installations to gradually reduce their emissions. The development of the EU ETS has been a ‘’learning by doing’’ process which has gone through a number of different phases. The first EU ETS directive was enacted in 2003 and included a first trial phase (2005-2007) to test the system, followed by the second phase (2008-2012) that was designed to comply with the Kyoto protocol. In 2009, there was a major revision of the EU ETS to be applied to phase III (2013-2020). 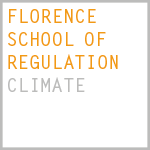 A new directive was enacted in the context of the 2020 EU energy and climate package. In the context of the Roadmap 2050 and the 2030 Climate and Energy Policy Framework, in July 2015 the European Commission presented a legislative proposal to revise the EU ETS for the period after 2020 to apply as of 2021 for phase IV. In the coming months, the new Directive will be defined, approved and then implemented. 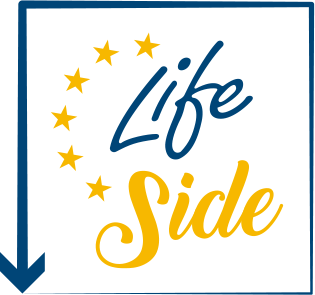 The goal of the LIFE SIDE project was to support European policy makers (e.g. politicians, civil servants, member of environmental agencies) with the design and implementation of the new EU ETS legislation. Access the list of EU ETS Experts, members of the LIFE SIDE Expert Group. 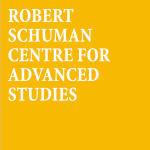 The project has been carrying out an updated economic ex-post assessment of the EU ETS, through the collection and analysis of all relevant existing empirical research. Free allocation of emission allowances (2 December 2016). This is a key issue which will be tackled by the reform of the EU ETS. It is important that policy makers are well informed on how the system operates in the allocation of allowances, and the risks of carbon leakage to date. Impact of the EU ETS on investment and innovation (3 April 2017). There is a current debate on whether the carbon price is too low to support investment. New measures to support the price were approved (2014/0011(COD) and need to be monitored. Furthermore, the new proposal of the EU ETS directive envisages a reform on existing funding mechanisms to support innovation. Interaction between energy policies and the EU ETS (4 April 2017). It is crucial that policy makers are well informed on the interactions between the different policies (especially renewable energy and energy efficiency) and on how these have operated during the past years. International dimension (25 September 2017). International cooperation on climate policy will be one of the most important topics in the context of the implementation of the Paris agreement. The EU ETS, as the largest cap and trade scheme in the world, can play an important role to foster cooperation on pricing emissions. On-line training course (11 June- 13 July 2018). A number of events were organised to stimulate interaction with policymakers on the design and implementation of the EU ETS legislation: a Side Event at the EUI State of the Union Conference, a Public Debate at the European Parliament, in Brussels (20 June 2018) and a Final Conference (27-28 November 2018), where the results of the EU ETS assessment are presented and discussed.